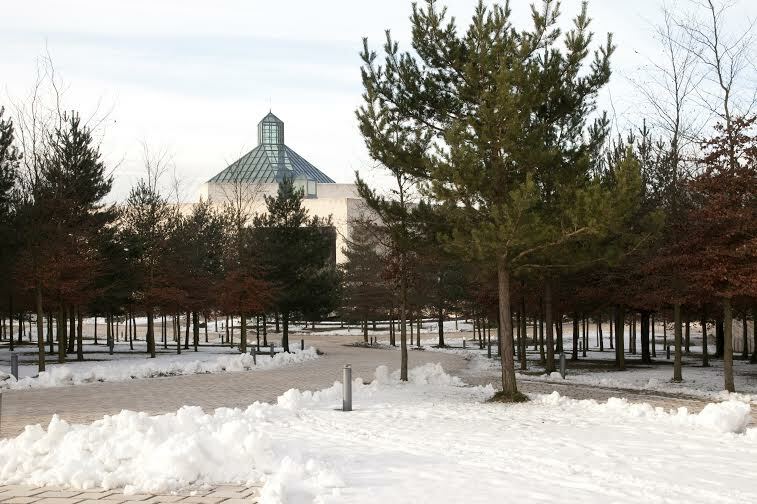 Put a museum of modern art on your agenda for the Carnival holiday. Museums of modern art are inspiring, interesting, challenging and fun, in large part because they leave all the room you want or need to interpret freely and interact with art. It feels quite instinctive.They might leave you with a sense of peace or worry, or with question marks, and fill you with energy or curiosity. What they rarely do is leave you indifferent. Admittedly, not everyone is that impressed and quite a common comment is “Will you look at that! I could have made that myself”. Really? Well, even if you could, would you have thought of it? That’s just the thing, you don’t have to love the finished result, but you’ve got to admire the coming up with ideas, and if you take a second or third look, you might figure out that maybe you couldn’t have done it after all. It’s about layers – of material and thought. Mudam in Luxembourg is one of these great museums of modern art, not just for the art but for the building itself; a building you want to come back to again and again for its marriage between stone and glass, its angles and light. The architect behind it is Ieoh Ming Pei, known for the Louvre pyramid, and it interacts with the ancient walls of the Thüringen Fortress. Mudam is accessible, reasonable and children friendly with workshops and guided tours for the young art audience. You’ll have a really nice lunch in the restaurant and shop for special presents in the boutique. 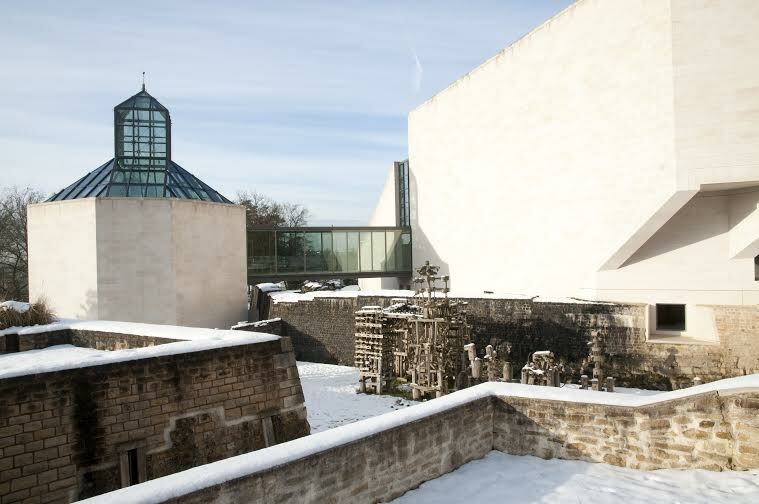 A great idea for a winter escape, or even for a winter stroll around the museum area, with wonderful views of Luxembourg city. The current exhibition comprises French video artist Sylvie Blocher and Canadian sculptor David Altmejd. Coming soon are the wall formations of German artist Franz Erhard Walther. Or go to a Mudam event: Wednesdays@Mudam lets music interact with art, DJ or live, often introducing new talent. Many Spoken Words is a montly meeting with an artist and his or her words. 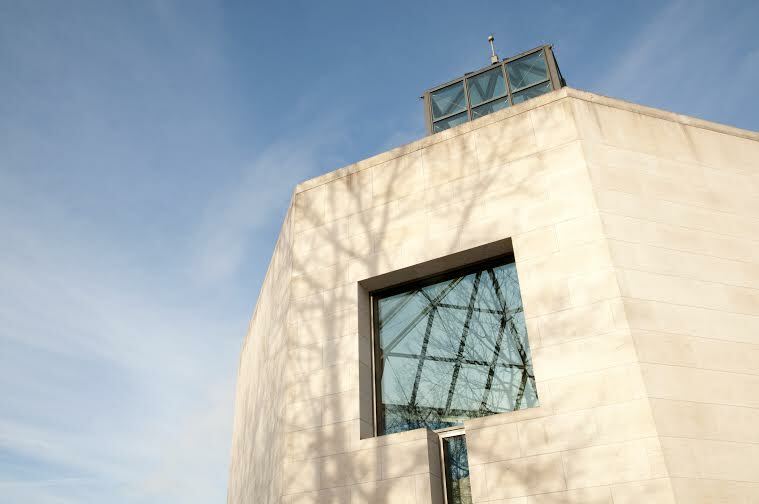 You can also book your Friday Night at Mudam, with an apéritif followed by a guided tour and a lovely dinner.